While I have always loved music, I have never been “into” it. Rattling off bands no one else has ever heard of just to sound cool isn’t me. Unlike many people, I can’t focus well when listening to music. The most common time I listen to music is in the car, and I have drastically reduced my commute time in the last year or so. It’s the only thing I miss! 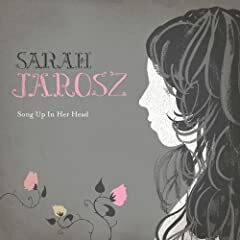 While running errands last week, I happened to be listening to National Public Radio and heard an interview with 18-year-old Sarah Jarosz who just released her first album, Song Up In Her Head. She played a few snippets from her album, but also gave a taste of what she played at her recent high school graduation: Gnarls Barkley’s Crazy… on the mandolin. Listen to interview for it! I just downloaded her album from iTunes and really like it. Nice and mellow without being boring. Click below to buy it from Amazon.com (CD or mp3).